Comes with silk liner and cover board. 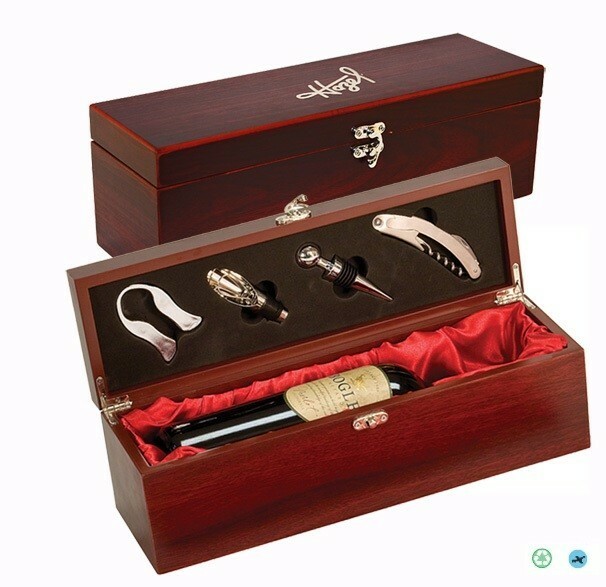 Also included are a corkscrew, wine stopper, wine pourer, and foil grip. Imprint - Laser/Color Filler Up to 8 square inches included in our price. Add $.50 (G) per additional square inch per item.